So cool! We’ve known Instagram is effective for social media marketing, but until now individual accounts couldn’t see data on their growth. With these updates in place, business accounts will be able to see just how they’re reaching their audience. Let’s take a closer look at these new features to see how you can use them to further develop and market your own Ecwid e-commerce shop. This helps clearly differentiate between businesses and regular Instagram users. A special contact button allows users to call, email, or text with a business from their profile. Users will even be able to see the business location and address in the directions field. Businesses will soon stand out on Instagram unlike ever before. 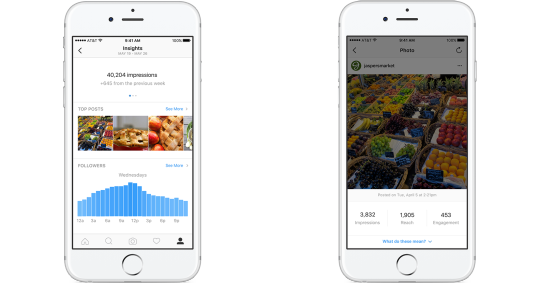 A long overdue feature for Instagram, Insights is the analytics component that helps paint a complete picture of how your posts are performing and what kind of audience you’re reaching. The statistics you capture via Insights can help inform your Instagram marketing strategy. With Insights, you can identify the best times of day for you to post content, monitor how fast your influence is growing, and create better ad campaigns for your business through collaboration and planning. 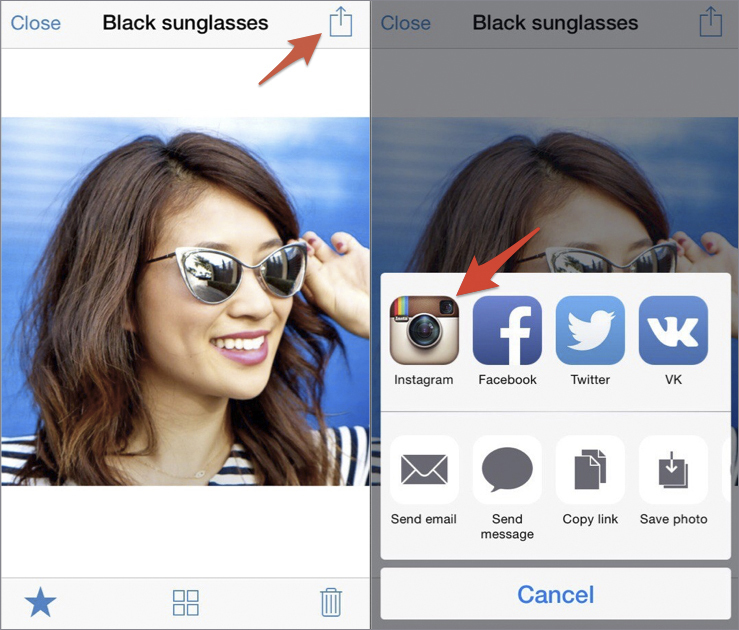 We’ve waited a long time for these improvements, and it’s finally on the way to your Instagram app! With all the new improvements, Instagram didn’t ignore the biggest of all: monetizing the platform. Now, you can promote any post from your profile — not just advertisements — and watch your reach grow. Best of all, connecting with your users on Instagram is easier than ever. Simply add a call-to-action button to any promoted post, and your users will be able to natively visit links and more without even leaving their Instagram app. Instagram has promised that these features will be available for all regions by the end of the year. 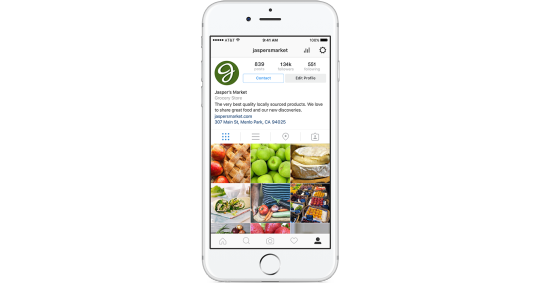 If you haven’t already been developing your business’ Instagram profile, now is the time to get a head start. What else is cool about selling on Instagram? For Ecwid entrepreneurs, Instagram’s cool new features don’t end there. Using the Ecwid Mobile App for iOS, upload photos directly from your storefront to your Instagram profile. Just select the product photo you want to share and tap the share icon in the top right corner. Attract new customers and keep your branding consistent, all the way from your storefront to your Instagram posts! Do you have an Instagram profile for your Ecwid business? Share links and more ideas below! Also follow us on Instagram for inspiring success stories and memorable moments of Ecwid team.